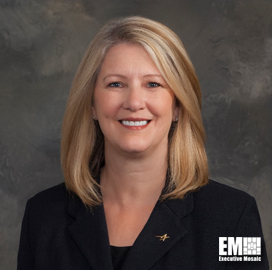 Michele Evans, who assumed the role of executive vice president for Lockheed Martin’s aeronautics business area in October 2018, has discussed the company’s efforts to reduce the price of the F-35 Lightning II aircraft and other plans for the fighter jet program, the Dallas Business Journal reported Wednesday. Lockheed plans to lower the price of the F-35A variant to $80M by 2020, according to the report. “While we focused on getting to an $80M jet, we’re also focused on making sure it’s a sustainable jet,” Evans said of the F-35 program. “If you think about maintaining it with repairs, maintenance, all that, we’re also focused on making sure as we get to an $80M jet, the maintenance cost of that jet is also less than what the legacy jets are,” she added. Evans, a 32-year Lockheed veteran, said she expects more countries to procure the F-35 aircraft and existing clients to undergo fleet expansion. The report added the defense contractor has hired 3K more employees in Fort Worth, Texas, since January 2017 as it prepares to increase F-35 production to more than 160 aircraft units by 2023, up from 91 jet deliveries in 2018.